Despite uncertainty in a still tough economic climate, Gen Y is optimistic about having a financially secured retirement life. Millennials joined the job market when the economy is shaky and unemployment is on a high. As if that’s not enough, pension plans have become scarce, price hikes have caused a dent in saving and the debt burden has shot up. While the gloominess lingers around, the optimism of Gen Y in a secure financial future still prevails. According to recent survey by Ameritrade Holding Corp, more than 50% of the Millennials plan to retire on time. However, plenty of them haven’t even started saving, have stopped saving, or are getting in more debt. As young adults, most people may not see the consequences of the lack of saving. However, the impact of not saving in the long run can be hard and bitter. Good saving habits starting from now can help individuals meet a certain cap of retirement savings. If not a healthy amount of savings, there will be some nominal amount that would make retirement years less miserable as compared to when not saving at all. Many young adults today believe that saving for retirement years means giving up on luxuries and a comfortable lifestyle. However, having a focused goal and budget for everything from the income you take home each month can make things easier. It’s not a comfortable lifestyle that you have to forgo, but the impulse buying or binge spending on things that you do not need. Things that don’t make you happy but only give you a short spell of happiness or just curb your urge to spend is what needs to be taken care of. 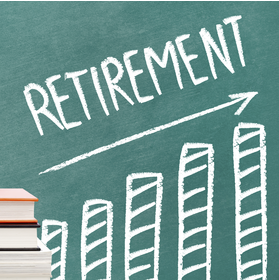 Most reputable companies offer a 401k retirement plan for their employees. A 401k is a profit sharing plan where the employer deducts some amount from your salary that goes into the retirement savings account Talk to your human resource manager or concerned department for details. Individual Retirement Arrangements (IRA) can be of two types — Roth or Traditional. In any case, you as an employee can contribute a max of $5000 USD in savings each year to the IRA account. Some employer’s event offer health savings accounts that pay for some of your medical bills like doctors’ visits and prescriptions. If you’re lucky to have an employer who offers such a plan, there’s no reason why you should sign up for it. It means you get more money on your wallet, which you can redirect towards your saving account; double benefit. Get in touch with an investment advisor or retirement consultant for professional advice about your long term financial plans. A qualified financial adviser will work with you to help you meet you future financial goals while help you maintain a comfortable lifestyle. They will work with you to develop a financial plan that will be doable, practical and will show its fruitful results when you plan to retire around the age of 65.